Don't let LAX get you down. 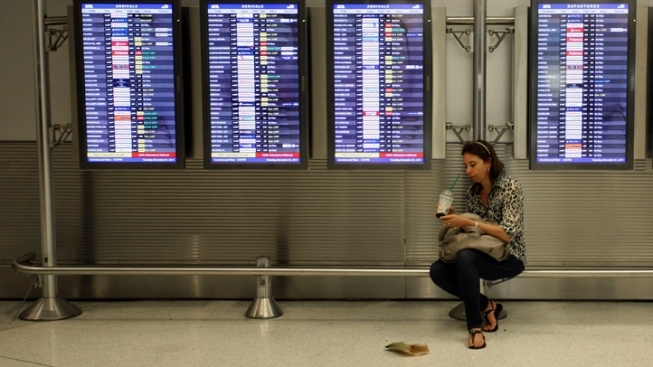 Here are some tips to improve your airport experience. How to Get Through Security Faster -- Some tips from TSA: remove body piercings, wear slip-on shoes, collapse that baby stroller before you get to the metal detector, pack your coats and liquids in your checked luggage. Seven Items That Set Off Security -- What’s likely the most stressful part of air travel these days is just getting through security. Budget Travel compiled this list of seven things that can unknowingly set off security measures. They include aluminum foil wrappers, headbands small alcohol bottles, inhalers, underwire bras, peanut butter and snow globes. Some of them are even banned for carry-on. Click here to find out why. Pack Light If Going Overseas -- Although there are practical restrictions on their size, none of the major U.S. airlines puts a cap on the weight of a carry-on bag on domestic flights -- but several do on international flights. For U.S. travel, Hawaiian Airlines has established a 25-pound limit for carry-on bags. Check Conditions Ahead of Time at LAX -- There are several ways to check flight conditions. If you’re at home, try this link. If you’re traveling in the car, find LAX Air Radio 530 for conditions. Santa Sightings at LAX -- Recently named the most social of airports, LAX is bringing Santa to its terminals on Thursday, Dec. 22 and Friday, Dec. 23. Keep an eye out for Kris Kringle or some volunteers wearing red vests as they roam among the crowds. Secure Luggage With Approved Lock -- If you’re taking valuables to or from a holiday celebration, you may be thinking of locking your luggage. Check the TSA site for a list of manufacturers who make luggage or locks that can be easily opened with a special tool used by security screeners.